Graham Linehan vs MOD. It’s So On! We regret to inform you that the hostilities which recently broke out between Graham Linehan and The MODinator have now escalated. We’re at DEFCON 3 here, people. 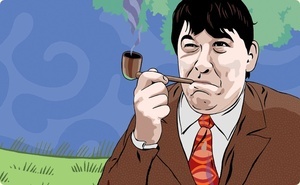 Posted in Misc and tagged Graham Linehan, MOD at 2:15 pm on September 10, 2010 by Niall Murphy. Why Did You Pay To Have These People Hacked?